Yes, 10,000 calendar min., additional fees apply. 1-4 color imprint (full bleed okay), basic setup, PDF proof and Free Ground Shipping (US48; 1-Commercial Location). Not included. Envelope style 'B' available (bulk or bulk inserted only). Basic custom imprint setup & PDF proof included! 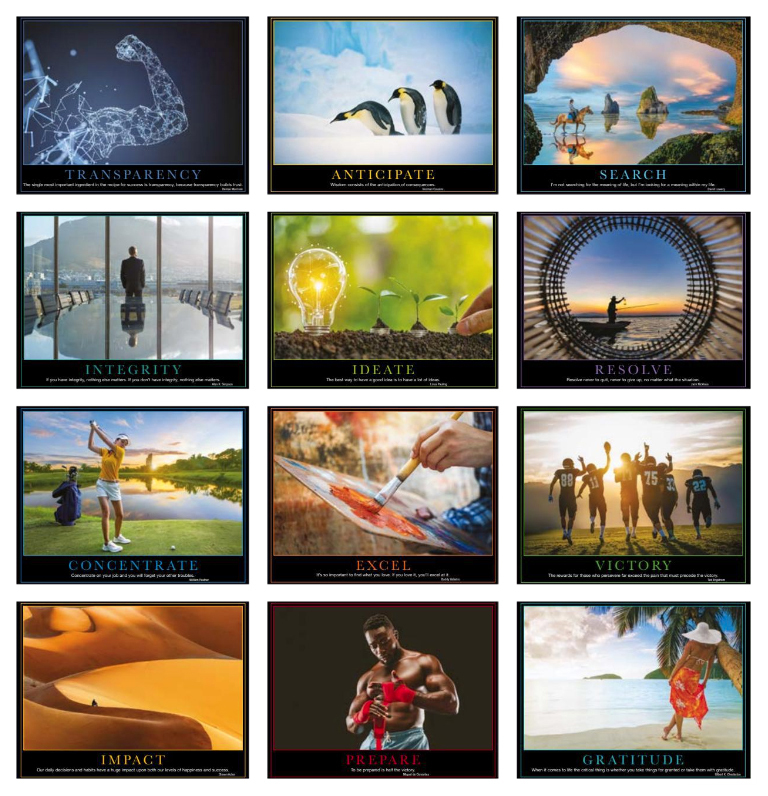 13-month wall calendar features lighthearted motivational images and quotes. Great choice for financial and insurance markets. 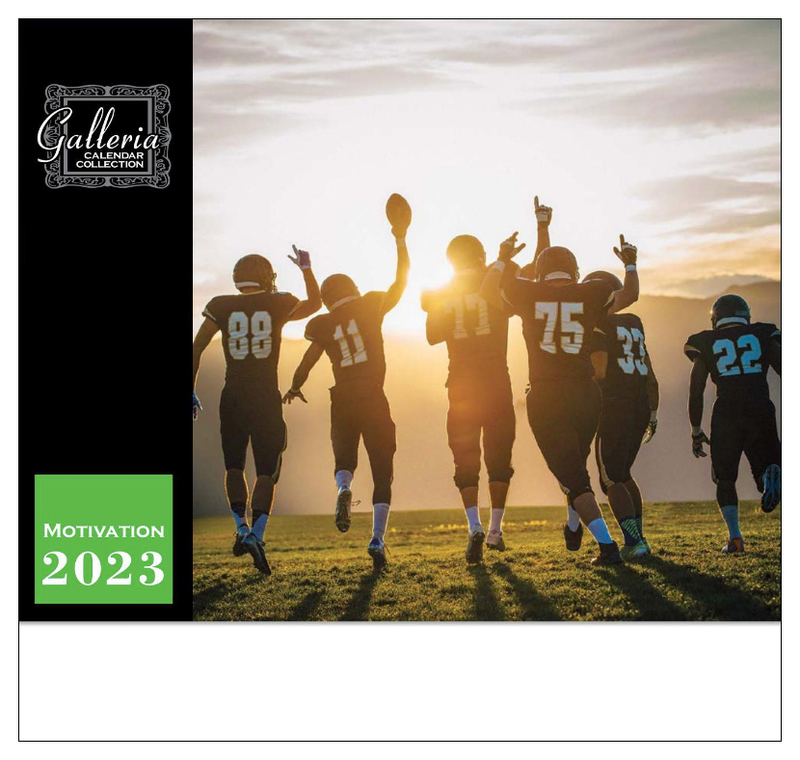 Galleria Collection Calendar (Made in Canada). 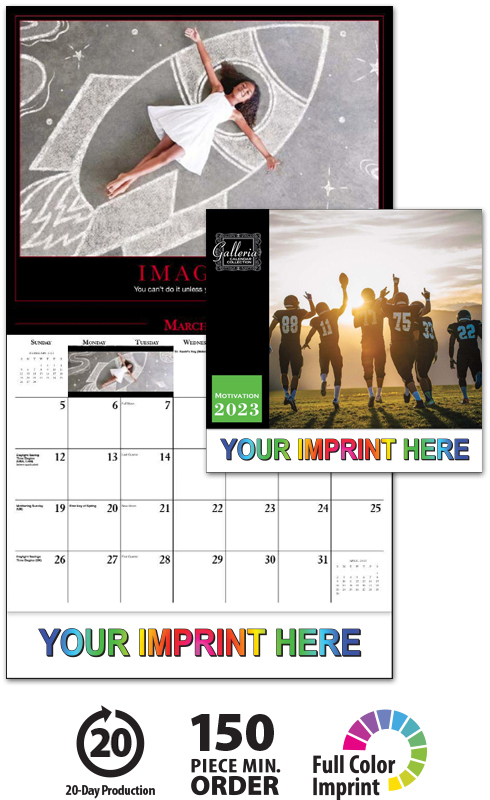 This high-quality promotional motivation calendar will proudly display your message for the entire year!